Mildred “Jeanette” Law Petry ”Neena”, 84, from Proctorville, Ohio went to be with her Lord on Tuesday, November 6, 2018 at St. Mary’s Medical Center, Huntington, WV. She was born September 1, 1934 in Wayne County, WV daughter of the late Walter and Louise Kline Frazier. She retired from C & O Railroad. 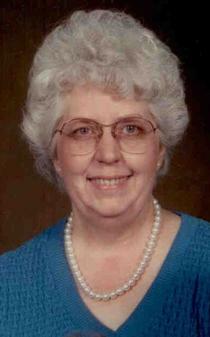 She was the pianist for several churches including Abundant Life Baptist Church at one time. She leaves behind one son and daughter-in-law Ken and Janice Law of Crown City, Ohio; two granddaughters and one grandson, Megan and Tyler Kunze of Chesapeake, Ohio, Gabrielle Law and her fiance’ Aaron Cain, and Elijah Law of Crown City, Ohio; two great grandbabies that she adored, Jenna Marie and Lyzzie Klaire Kunze. She also leaves behind a host of friends and family on Jan’s side that she considered as her own family and everyone called her Neena. Funeral service will be conducted 2 p.m. Saturday, November 10, 2018 at Hall Funeral Home and Crematory, Proctorville, Ohio by Pastor Rob Jones. Burial will follow at Miller Memorial Gardens, Miller, Ohio. Visitation will be held one hour prior to the service at the funeral home. She has “GONE HOME” and is having a great reunion. Jeremiah 29:11. Condolences may be expressed to the family at www.ehallfuneralhome.com.